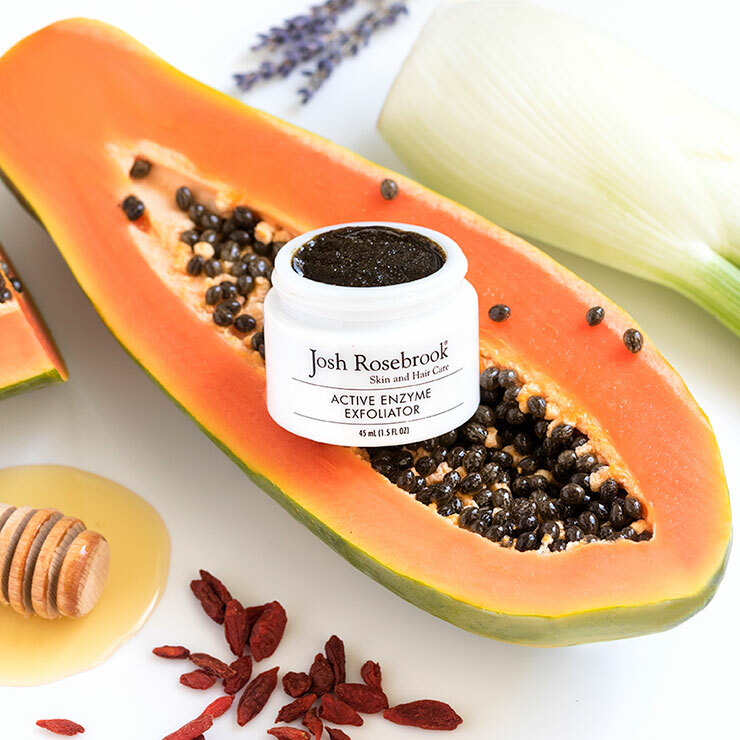 Regular exfoliation is a skincare best practice, and Josh Rosebrook's Active Enzyme Exfoliator treatment scrub does double duty by giving skin a clean and clear appearance with a smooth, soft feel. Apply a thin layer with the fingers, massaging in small circular motions from the neck to the forehead, avoiding the eye area. Allow exfoliator to set on the skin for 10 minutes to an hour before rinsing with warm water. Hydrate with Josh Rosebrook Hydrating Accelerator or your favorite toner followed with your favorite moisturizer, serum or face oil. I love this stuff it really exfoliates well. I don't really use it as a mask though. Leaves the skin soft and clean. I use a diff brand mask sometimes and when rinsing I will add this in and it helps exfoliate while rinsing and makes it work better. 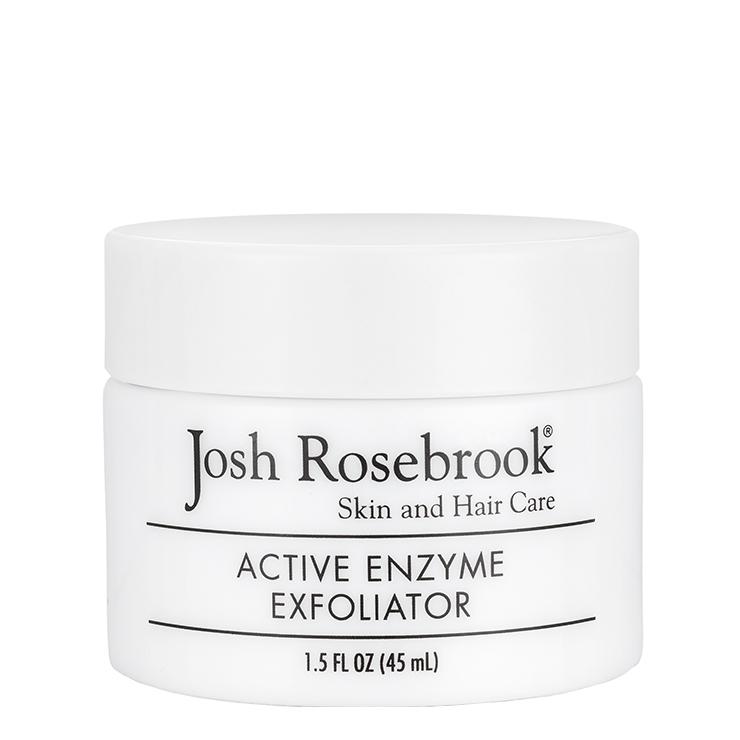 I really like Josh Rosebrook products, however this active enzyme exfoliater is a miss. It didn't work for me. It makes my skin feel dry. I wouldn't recommend it. I found this was an effective exfoliator but I didn't like the quality of my skin after using this mask as much as with some other exfoliating masks I use, like Ayuna's Essence or Mahalo's The Petal. Those make my skin feel soft, plump, and hydrated. This is ever so slightly drying and did not seem to refine the skin's texture. I loved the Josh Rosebrook Cacao Antioxidant Face Mask I received in the November 2016 box, so I couldn't wait to try this one. I had read great things about it on a number of green beauty bloggers' sites before purchasing and perhaps that gave me unrealistic expectations. I can definitely say that after using it, my skin was softer and felt very hydrated, but I think I had better results with the Cacao Antioxidant Face Mask as far as exfoliation. My skin felt "plump" and happy, but it didn't really absorb oils and serums any better than before I had used it, I will likely repurchase at some point in the future, because it does make my skin feel calmer and more hydrated, but for exfoliation it's not my all-star, go-to mask.